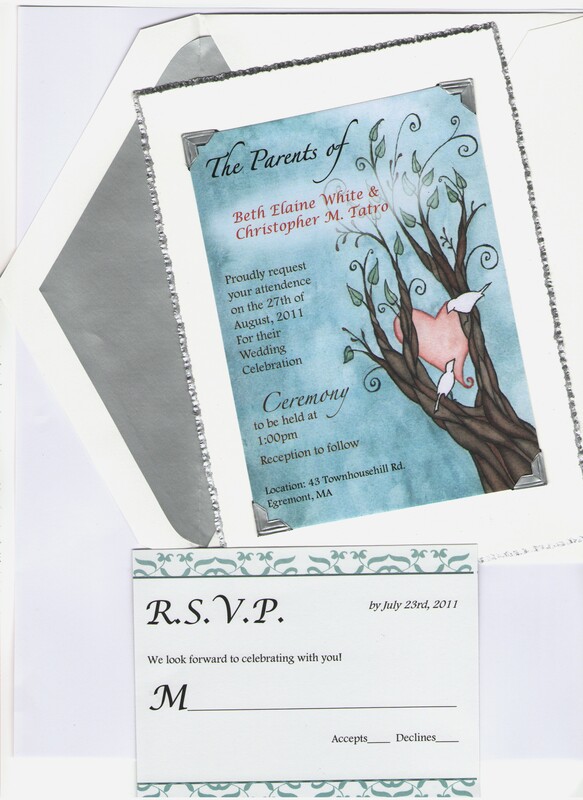 Well, other than my own I’ve never done wedding invitations, and I quite like the way these came out. Hopefully the Bride and Groom will as well! I did the original painting, printed the image, designed the text on them – and then painstakingly attached them to each card with silver photo corners.